The Bitcoin exchange platforms BitFloor and Bitcoinica, the two largest institutional victims ofdigital theft in Bitcoin history, have finally shown their first signs of genuine progress toward repaying their clients. On October 31, a court filing made by Tihan Sealein August to place Bitcoinica into a formal state ofreceivership for liquidation finally came before a judge, and Anthony John McCullagh and Stephen Mark Lawrence were appointed as liquidators. Three weeks later, the liquidators sent emails to select members of the Bitcoin community and made apost on the Bitcointalk forums asking for creditors to provide them with their address and contact details. As for BitFloor, on Monday, the exchangeannounced that it will be refunding 1.7% of its users’ lost funds, and further refunds will be made as BitFloor’s business continues to grow. Aside fromPirate, Bitcoinica and BitFloor were arguably the two greatest mishaps that took place in the Bitcoin world in 2012. The former was a margin trading platform created by Zhou Tong in September which rapidly grew to a transaction volume larger than any exchange other than MtGox itself, but which rapidly fell into disrepute following a series of hacks in the spring. Thefirst incident in March saw over $220,000 worth of BTC whisked away by an unknown thief who had broken into Bitcoinica’s servers. However, Bitcoinica’s investors supplied the funds to keep the company solvent, and it continued operating for another two months, until another $90,000 hack transpired and the company’s database of its users’ balances was deleted in the process, forcing it to finally shut down. Then followed a slow and laborious claims process in which Bitcoinica staff tried to piece together the remaining evidence to see which claims were legitimate and which were fraudulent or exaggerated. The process proceeded at a glacial pace, as it was hindered further by bitter internal conflicts between its various partners. A small portion of claims were paid out over a month, until the process stalled entirely, and to add further insult to injury, the claims fund itself was hacked due to a bad choice of password and the Bitcoinica staff not setting up any kind of two-factor authentication, losing another $320,000. Fortunately, the debacle of BitFloor, although tragic, was not nearly as devastating. In early September, a thief managed to locate an unencrypted backup of the service’s wallet on the server, which had been accidentally left there while founder Roman Shtylman had been making a manual upgrade of the server’s software, andmade off with $250,000. However, Shtylman managed to keep BitFloor running by freezing the Bitcoin balances of depositors at the time, with the intent to put BitFloor back on its feet and eventually earn a large enough profit to pay the depositors back. The two events took a serious toll on the Bitcoin community’s confidence, and by September, many people had written off their debts at these exchanges, particularly those at Bitcoinica, as gone for good. Now, the fact that Bitcoinica is in the hands of legally appointed liquidators provides a first sign of hope that, eventually, depositors will get a large portion of their deposits back. Because of the third theft in July, the compensation will be far from 100%, although the loss from the theft will be slightly offset by Bitcoinica’s anonymous users, who will not be able to get anything back if they are unwilling to hand over their legal name and address to the liquidators; 60-70% is currently the prevailing estimate. Bitcoinica creditors, and those who are not Bitcoinica creditors even more, are cautioned to be truthful in what they submit. As one prominent creditorstates, “If you don’t have a valid claim with Bitcoinica already then please realize that sending a false claim to a court appointed liquidator is probably not a very bright idea.” BitFloor may still go out of business from competition before it pays much more of its depositors back, but for now, it appears to be back on a stable trajectory. 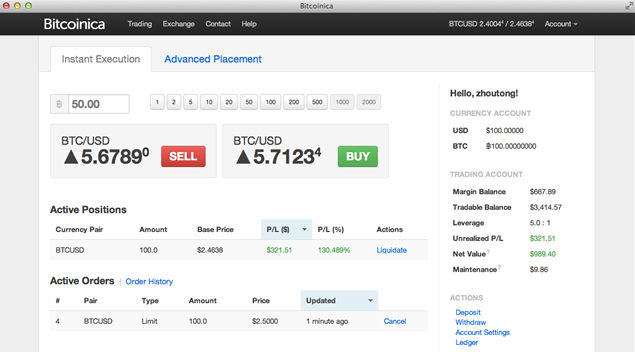 There is also another silver lining to this new chapter in Bitcoinica’s tale. One so far overlooked statement in the liquidators’ post reads: “We would also appreciate feedback from investors on whether they would prefer to receive a distribution in the form of Bitcoins (where possible) or whether they would prefer a straightforward cash distribution.” This is the first time that a formal legal process has treated bitcoins as legitimate form of digital property, and has even been willing to handle bitcoins itself. Although this is a court-appointed company, and not a judge, the fact that Bitcoin depositors are being treated as legitimate creditors may still go a long way in alleviating the fears of those who may now be concerned about working with Bitcoin businesses due to legal uncertainty. The Bitcoin community has already learned from and largely moved on from the aftermath of these two unfortunate events. Bitfloor’s theft prompted many Bitcoin financial service providers to switch to a stronger model of security, offering superior options for two and three-factor authentication and storing the vast majority of client funds in offline cold storage so that no security vulnerability can lead to an online thief pilfering them. The community has also become much less focused on financial services as a whole, focusing instead on strengthening the underlying economy. If Bitcoinica’s liquidation and BitFloor’s recovery continue, however, what has so far been a most unfortunate chapter of the Bitcoin community’s life may instead turn out to be a stepping stone to something much brighter.